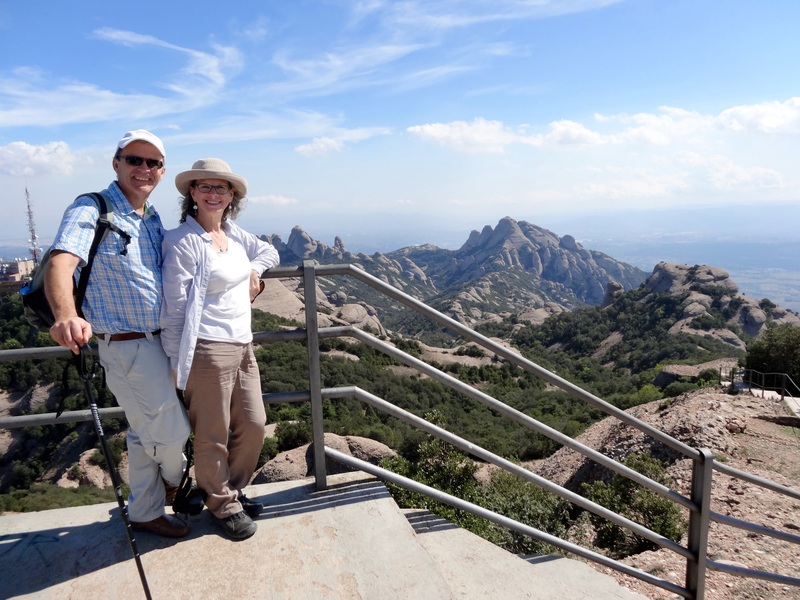 We arrived at Montserrat Monastery late Monday afternoon. It took longer than we thought to get our rental car and we soon discovered that the trunk is too small for two suitcases, oops! We have been told not to leave anything visible in the car or it will likely be stolen. 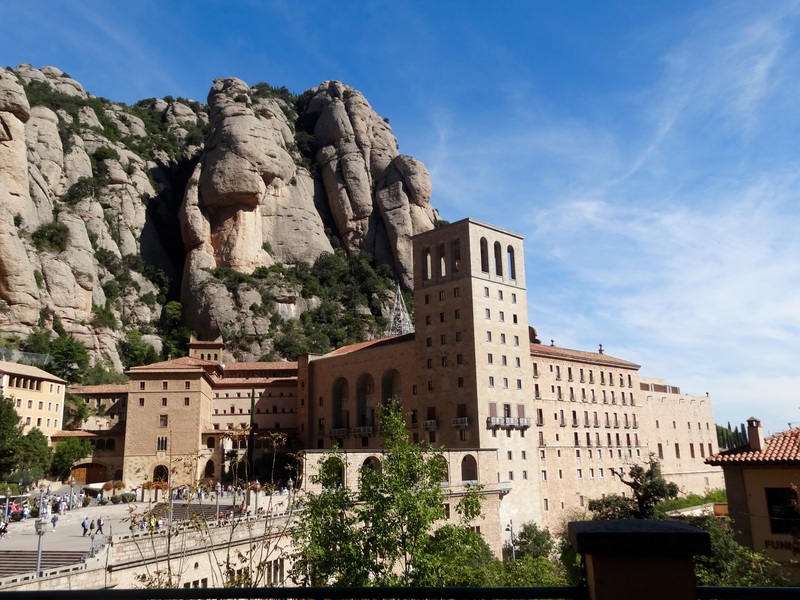 There are no upgrades available so we decide we can manage to go to the Monastery and then we will come back to Barcelona and get a different car. 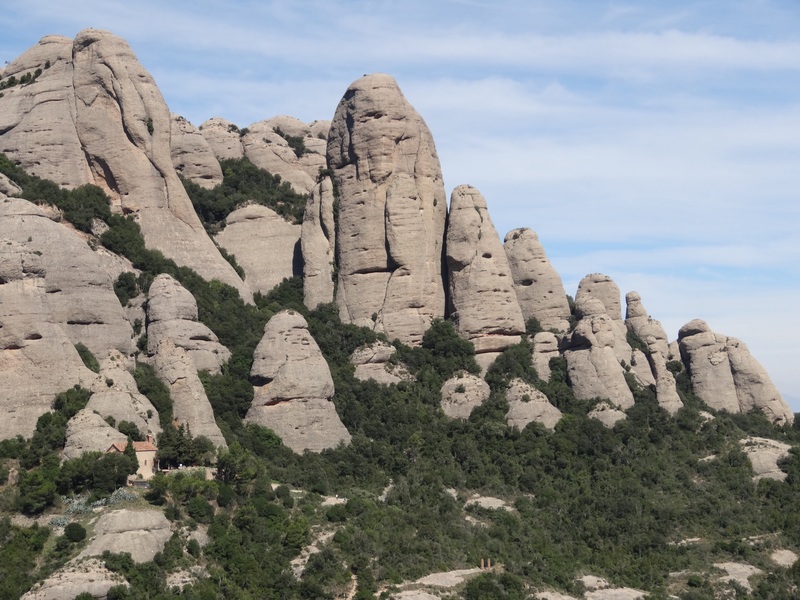 The monastery is at the top of a long narrow winding road and it is an incredible place. Within fifteen minutes of checking in we decide that we should stay a second night. We wander about and go to Vespers after supper. 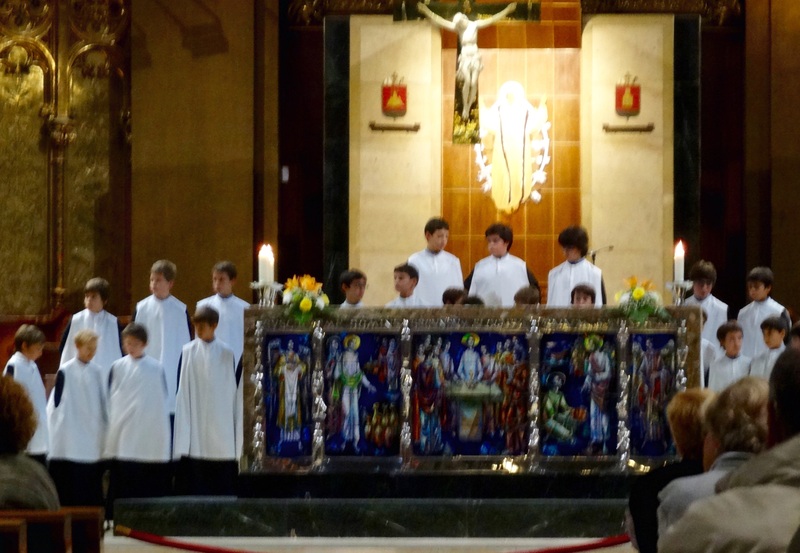 The monks sing and then the boys choir sings by themselves at the end of the service. It was very beautiful. We have a quiet evening. We are both tired after all the excitement of the FIre Run last night and the first day driving and navigating. We go hiking Tuesday morning. 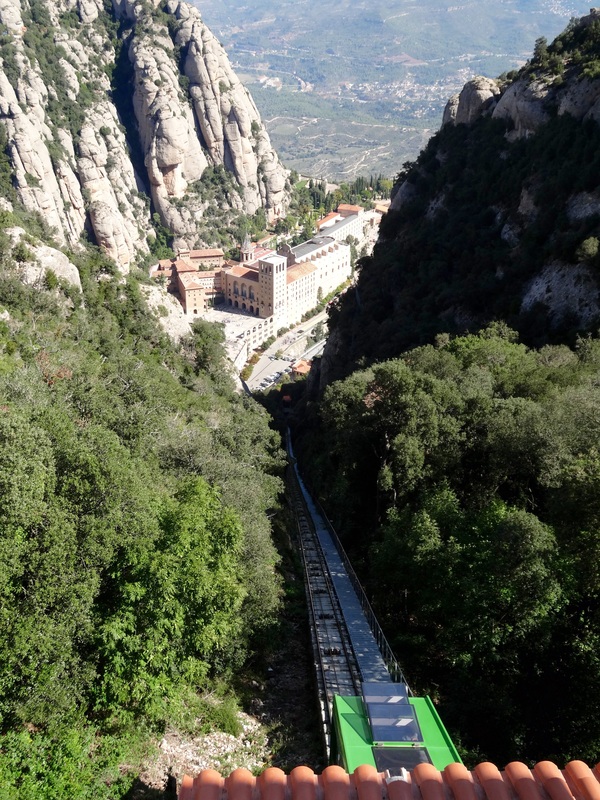 We take the Sant Joan Funicular up to the start of the trails. 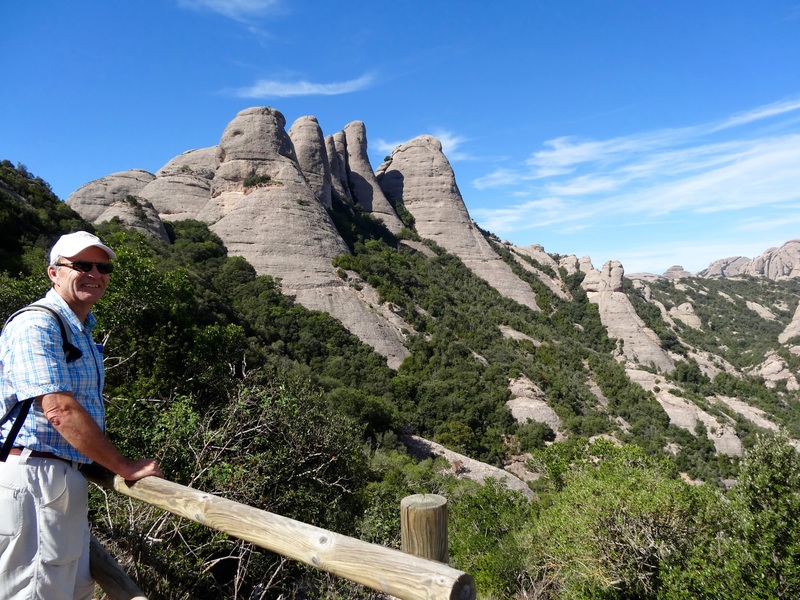 It is quite the experience riding straight up a mountainside, and of course the views are amazing. 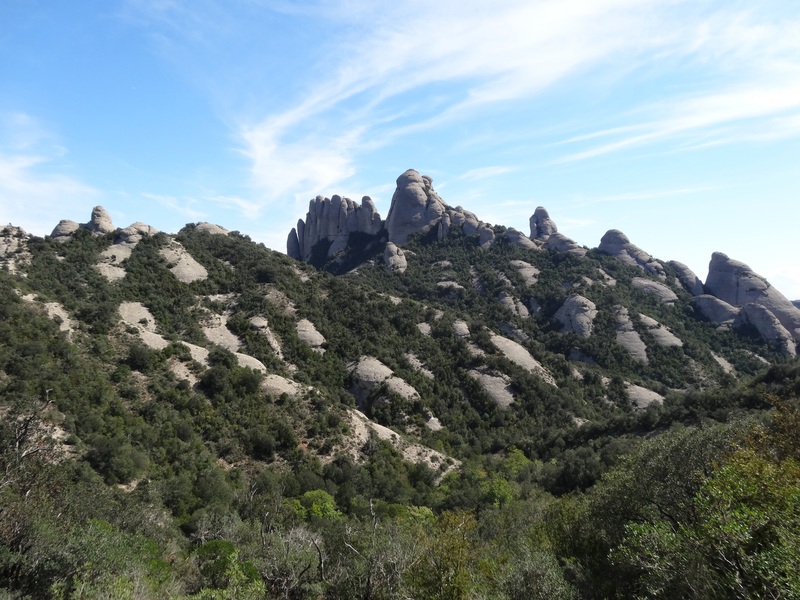 The rock formations here remind us a lot of Cappadocia in Turkey, and we managed to get lost on our hike there! Hopefully we will do better here. 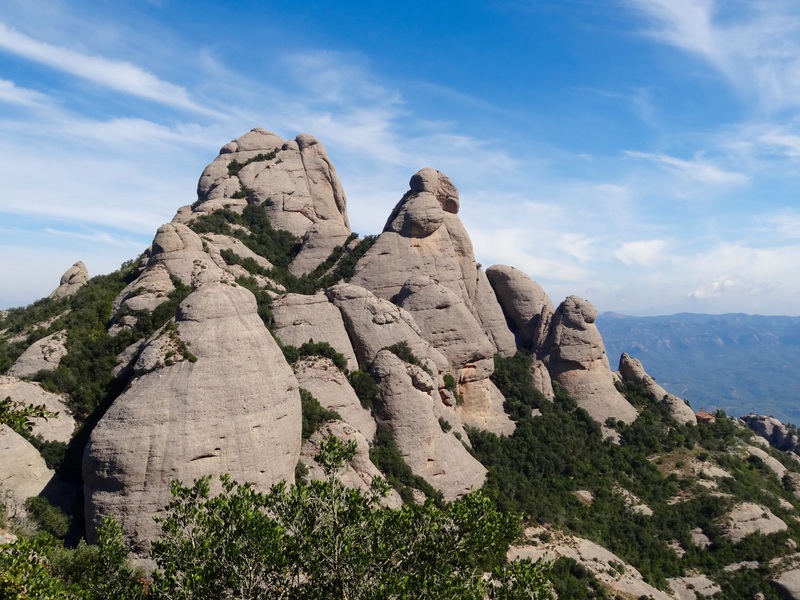 We decide to do the hike to Sant Jeromi, a 7.5 km hike to the highest point of Montserrat. 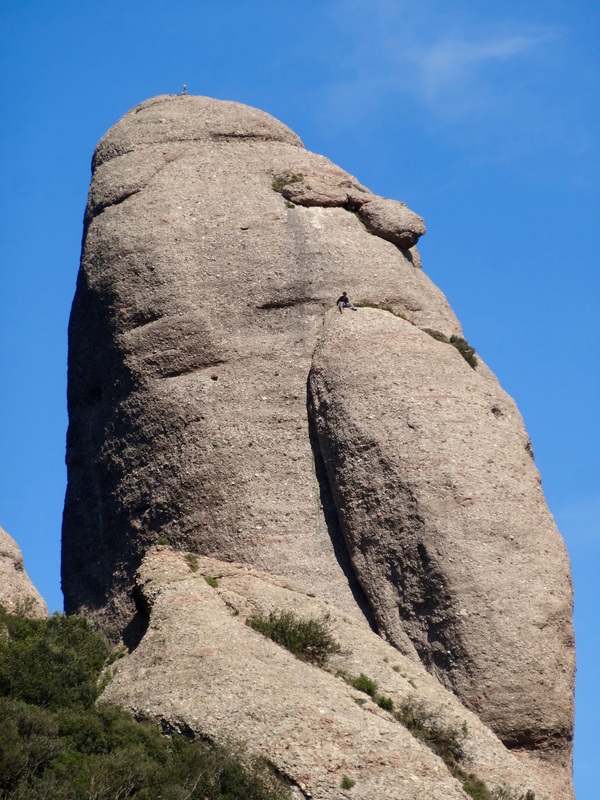 The rock formations here are absolutely stunning. 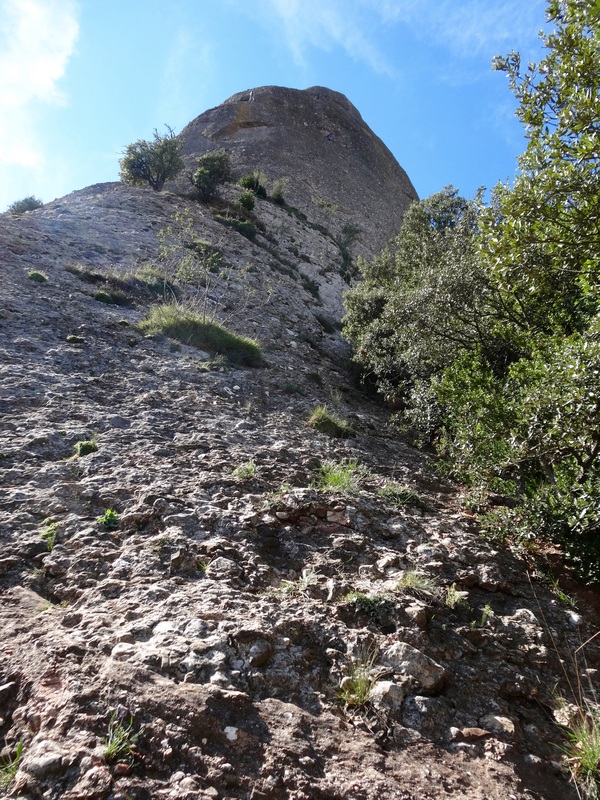 Soon we are at the base of Gorra Frigia, and we see three mountain climbers, working their way towards the top. 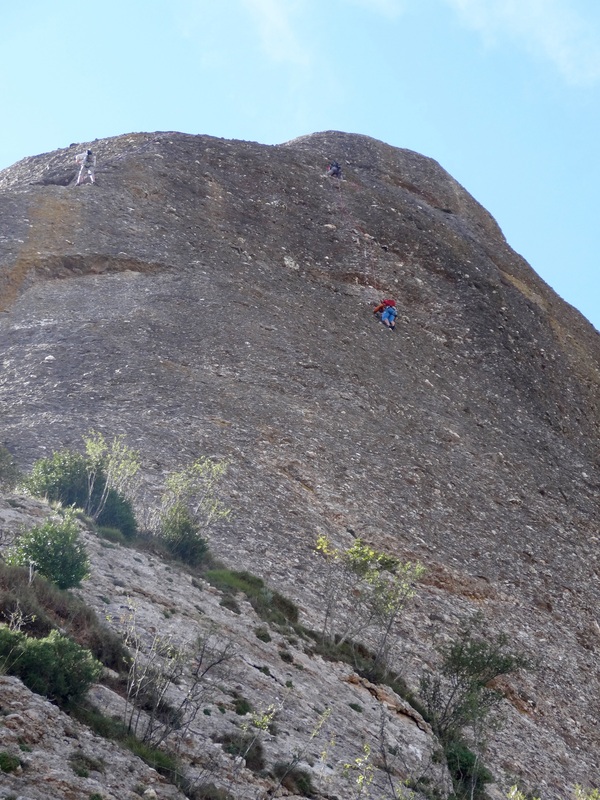 It looks rather scary to us, but then we aren’t mountain climbers. The picture above is a close up. They are near the top of this mountain in the picture below. 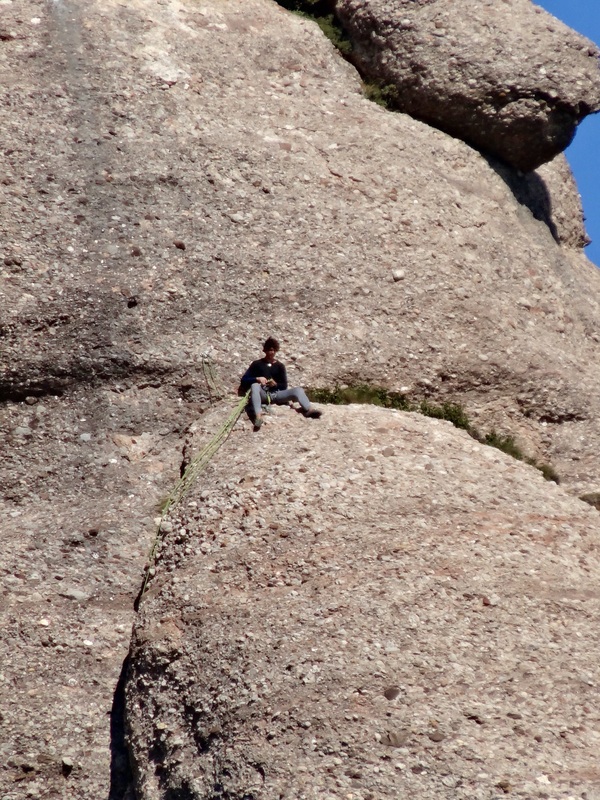 Our son-in-law climbs so these pictures are especially for him. We are headed for the top of the middle rock in the center of this skyline. It looks low here but it is actually the highest point, 1236 meters above sea level. 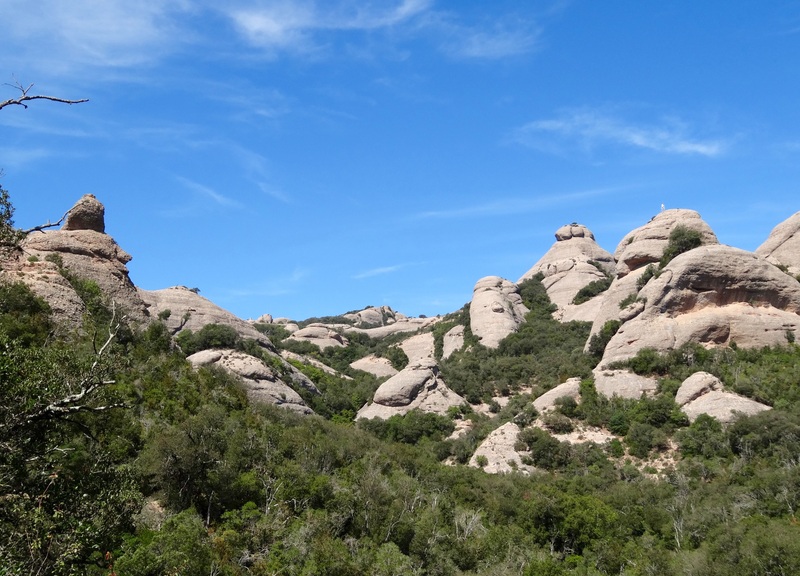 The rock formations are fascinating and the rock is conglomerate rock, so it is full of all sorts of pebbles and rocks in a base that almost looks like cement. 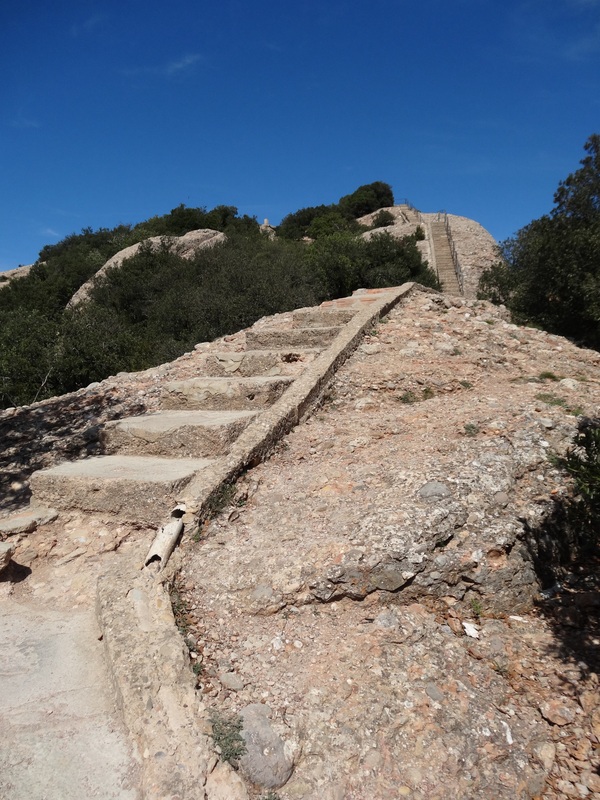 I think we must almost be there after just climbing several hundred steps but we turn the corner and see….more steps, another 112 to be exact! Almost there! We have our picnic lunch and enjoy the view and even see a birthday party, complete with cake and candles for a 31 year old Spanish man. We join in when his friends sing him Happy Birthday which kind of surprised him, and he thanked us afterwards. 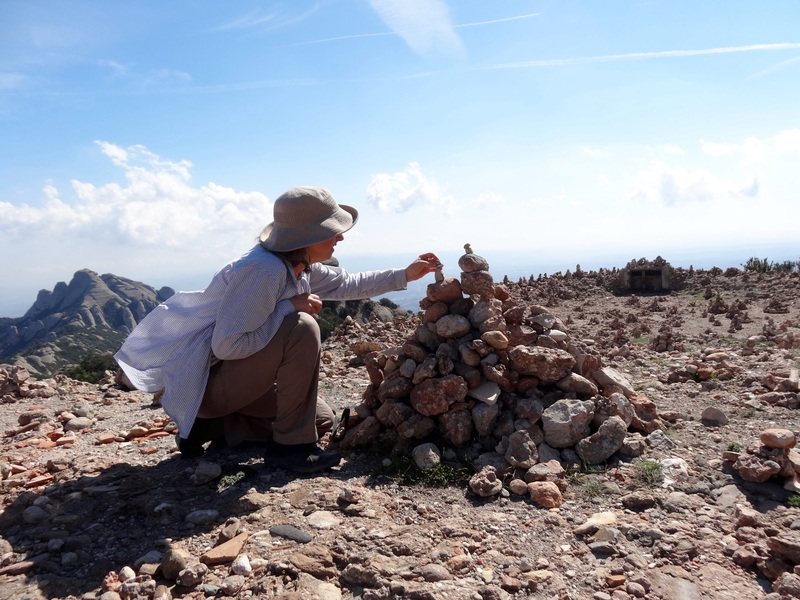 On the way down we stop to add a few rocks to these Inuksuk like piles of rocks…. 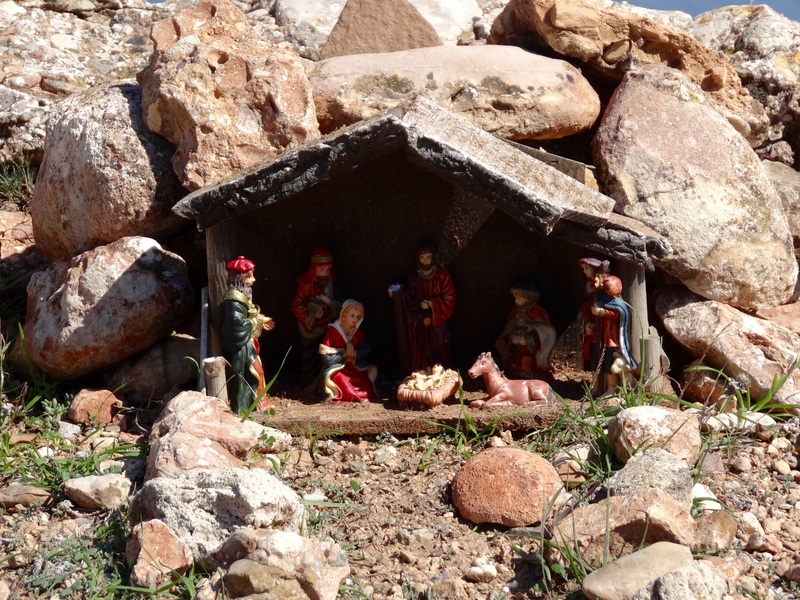 and see this little Nativity Scene that someone set up, high on the mountain. I am intrigued with the rocks on the path. 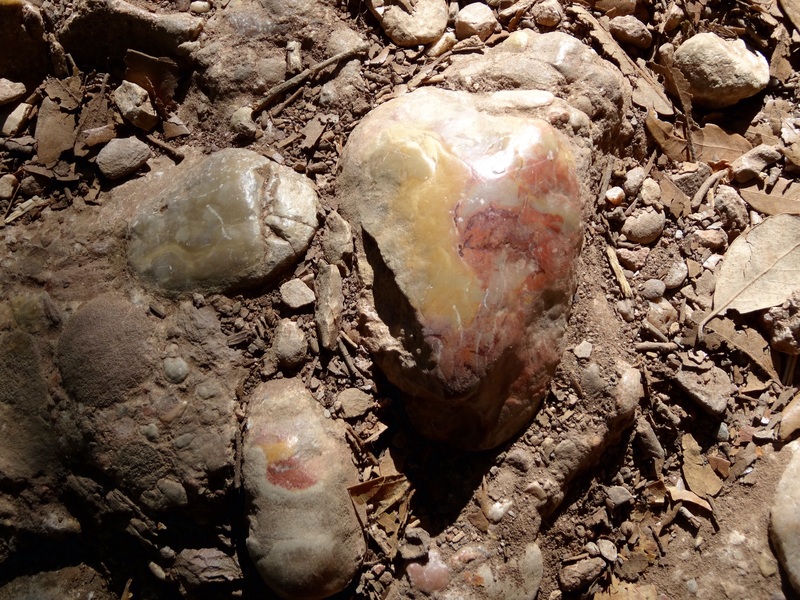 So many people have walked over these paths that some of the rocks have become polished. 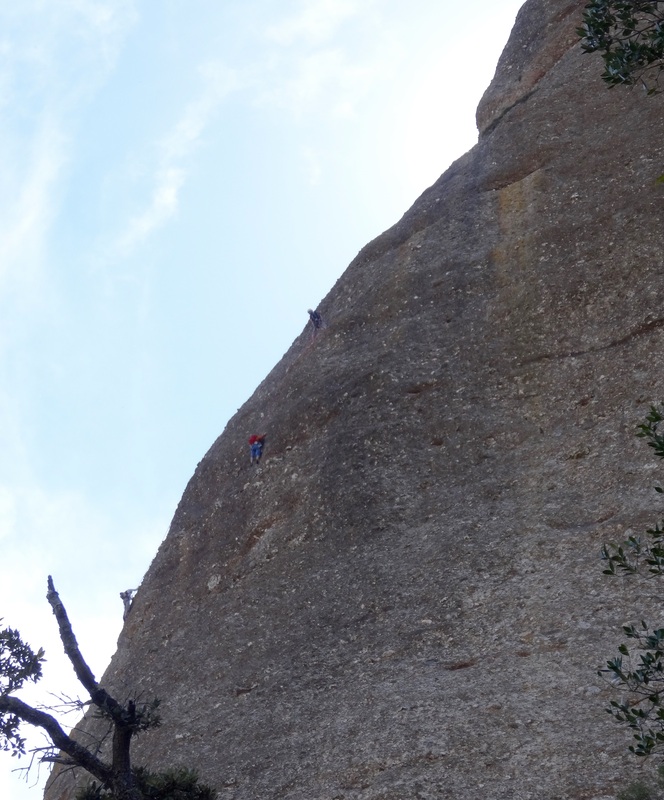 We see more mountain climbers, this one rappelled down very quickly and disappeared from sight when we glanced away for a second. His friends were calling out to him. We wondered if he was OK? 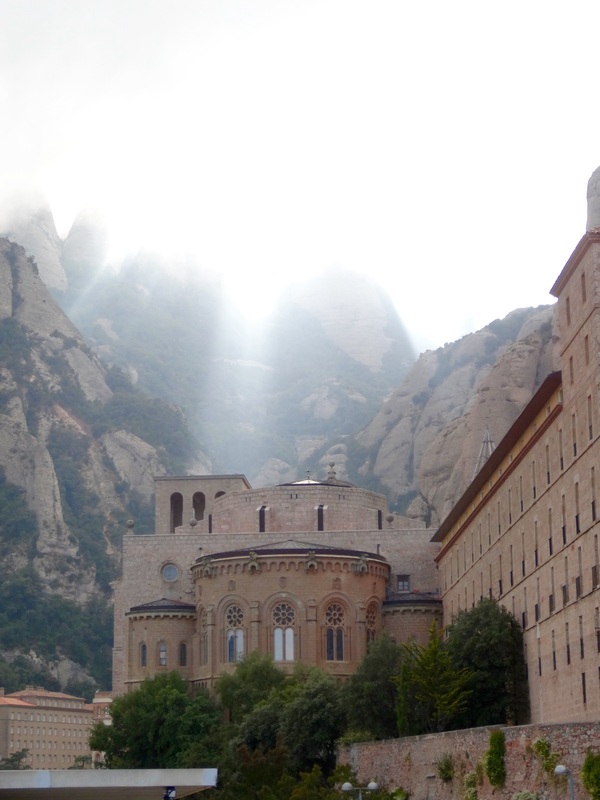 The sun shone through the clouds, like rays of light from heaven over the Monastery. We went back to hear the choir sing one more time. No pictures are allowed during the services but I quickly snapped this not very good one as they were leaving. The boys (55 of them) are educated at the Monastery, and sing six days a week, with one month off during the summer. We go back to our room and sit and have tea, looking out the window, just enjoying it all. We are both quite tired after our 4 1/2 hour hike.